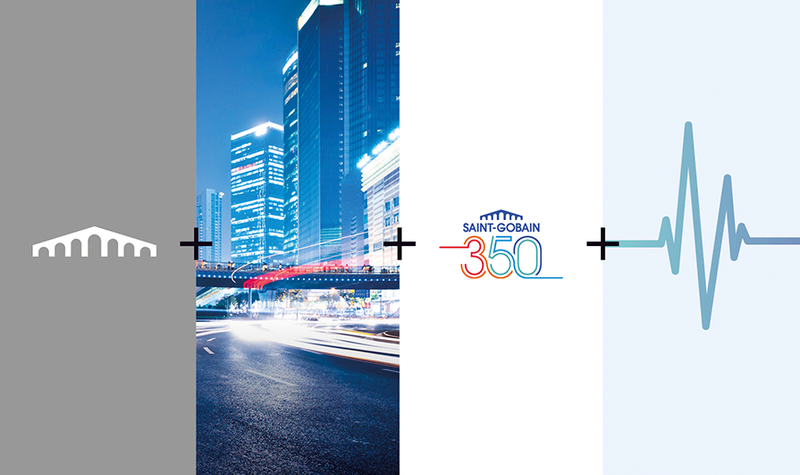 Saint-Gobain has been inspiring trust for 350 years. 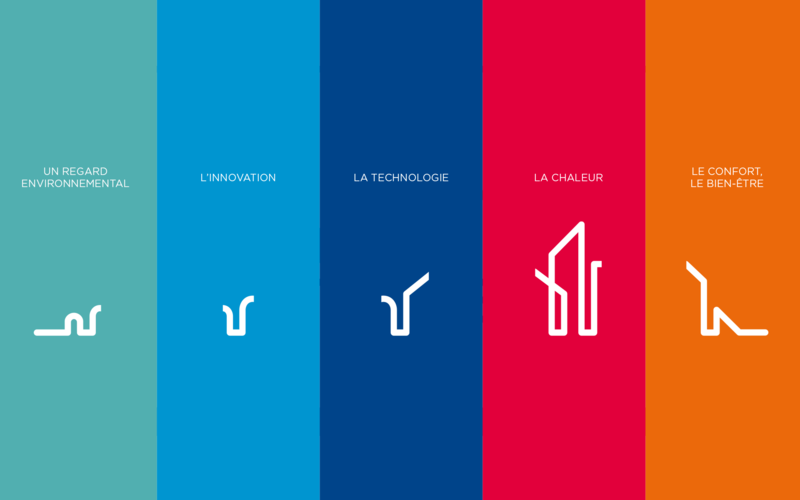 And now, a new visual identity is carrying that trust forward. 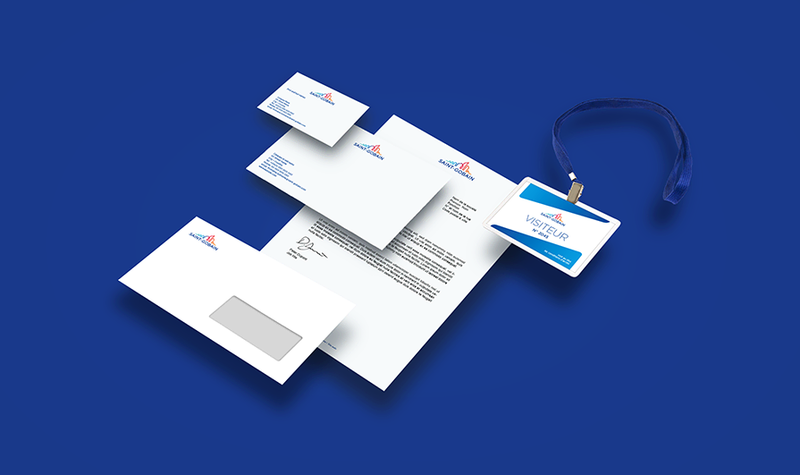 The logo has been reenergized to make it more appealing and inviting and enhance the visibility of the corporate brand. 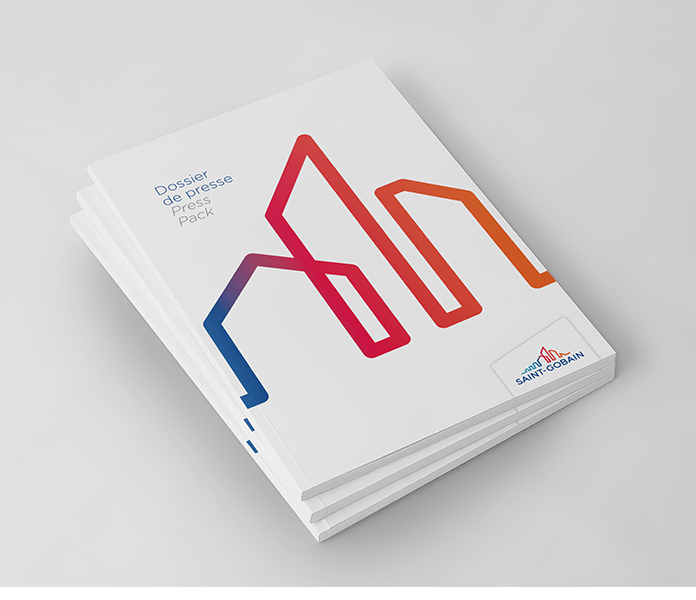 Evoking both innovation and comfort through a compelling and colorful brand architecture, it enthusiastically embraces all that lies ahead. 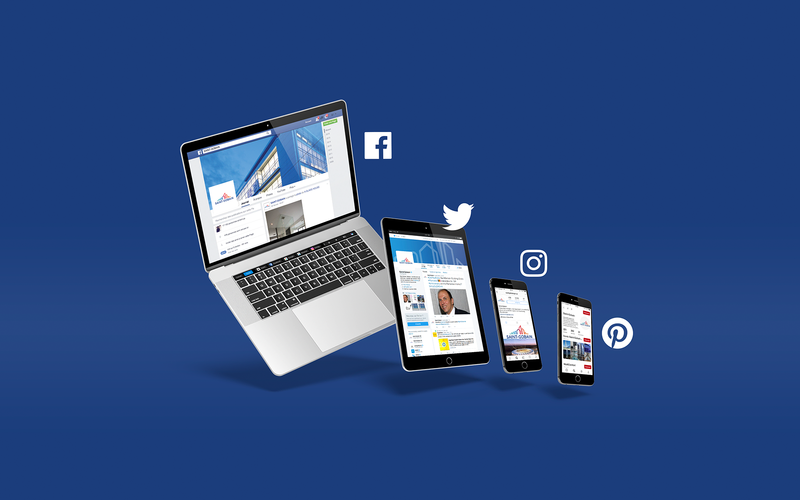 The new visual identity expresses the company’s commitment to designing, producing and providing materials that offer comfort and convenience for everyone, today and tomorrow. The instantly recognizable skyline symbolizes a strategy focused on sustainable habitat and well-being. 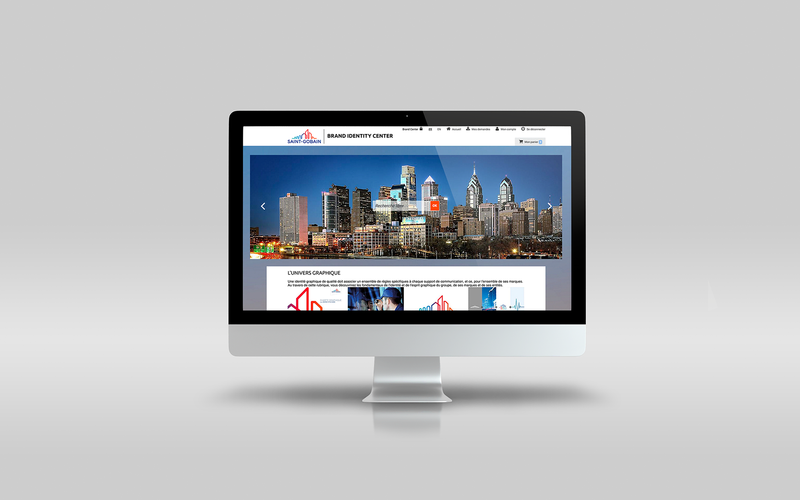 The skyline reflects a multicultural vision and the diversity of housing around the world. 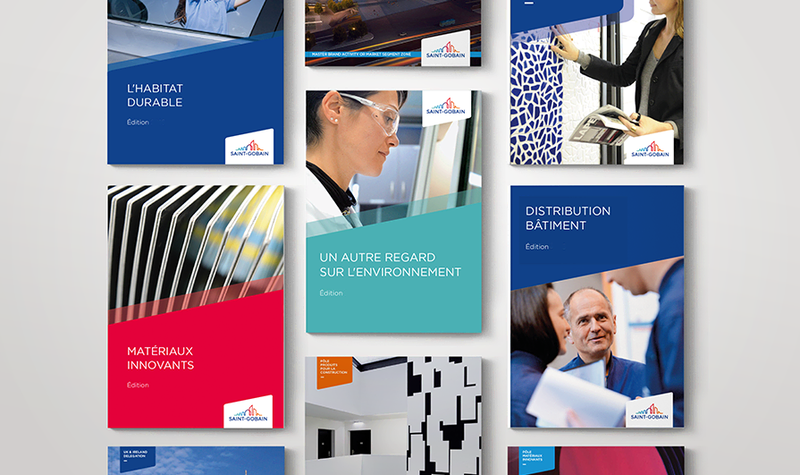 It references sustainable living, landmark architectural creations and industrial solutions. 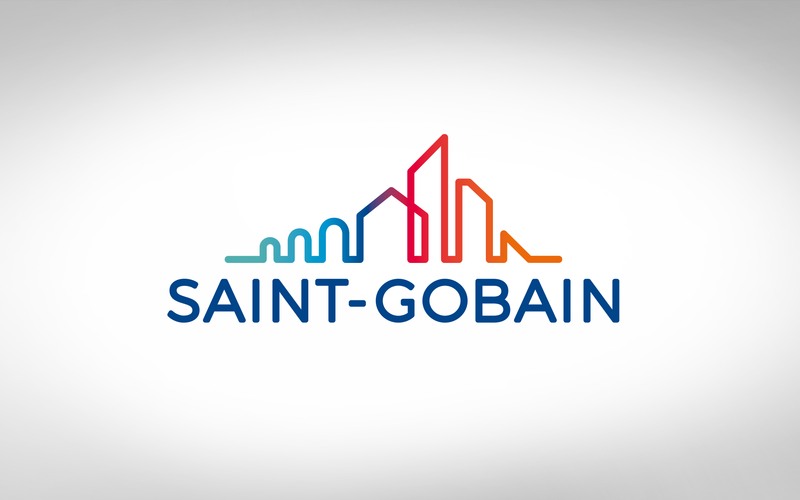 A Brand Center featuring key elements of the Saint-Gobain brand identity. 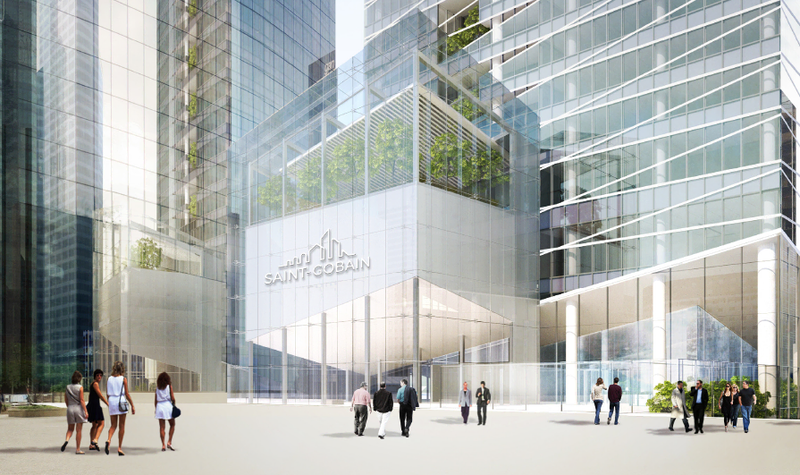 Saint-Gobain’s future headquarters is outlined in the logo.